In addition to being a full-time working drummer, Mark is guiding veteran and up & coming drummers with their musical careers both privately and at Nevada Music Academy (March 2014 to present). Mark is currently accepting serious-minded adult students for in-home or online lessons. Drum set students are required to have access to a drum set; snare drum students are required to have a snare drum or practice pad. riginal rock bands formed with musicians from the local music scene. Mark studied classical and rudimental snare drum performance at the Murray Spivack School for Snare Drum and funk, jazz, rock and Latin drumming under the tutelage of Irv Kluger, Chuck Silverman and Richie “Gajate” Garcia. Mark’s first big break came in 1986 when he toured with the legendary Hollywood based hard-rock band Masque, which included the famous circuit clubs in Los Angeles supporting such artists as Warrant and Poison. Shortly after, Mark spent two years performing and recording with MTV favorites D.R. Starr and the M.D.’s, securing his place as one of Los Angeles’ “go to” drummers. Drum lessons with Mark are informative, results-driven and loud at times! “Together, you and I will develop an ‘Individualized Learning Program’ designed just for you,” says Mark. “We’ll work at your level and at your pace – and we’ll have fun doing it!” Mark has been working successfully with students as young as 5 years of age. Beginning students will be playing basic drum beats during their first lesson and playing along to songs within several lessons. Experienced students will further develop reading chops, grooves, fills and rudiments. To date, Mark has recorded and performed with numerous rock acts and is active in the local music scene. In addition, Mark is a two-time Las Vegas Rock Hall of Fame inductee. On time, very professional, amazing skill-set and very patient with my child. We feel fortunate to have Mark as an instructor. Markâs incredible skill as a drummer is only matched by his abilities as a teacher. In just a short time with Markâs instruction, I have made vast improvements in my drumming. At my first lesson with Mark, he determined my skill level and what I sought to achieve with my lessons. Almost immediately, the fundamentals Mark showed me were translating into my drumming with my band. Mark has opened doors in my playing that I didnât know existed. Mark is incredibly patient and really cares about ensuring I receive significant benefit from my lessons. Mark really goes out of his way to make sure I fully grasp everything he shows me. I would highly recommend Mark for anyone who wants to learn from a true master at his craft and from a teacher who takes pride in his students and his teaching. Thank you Mark!! As we explore the exciting world of music, guitars, drums and percussion, we will cover all aspects of music theory, music history and ear training through video, audio and text examples. Students will be provided with all the necessary tools to fully understand musical concepts and have the ability to play for recreation or at a professional level. You won't need any books to start but I do suggest a small 3 ring binder for notes, literature, weekly hand outs and homework . Hi, my name's Andy! I've been playing drums since I was 13 years old. I started out taking professional lessons until I gained enough confidence and foundation to go on to perform with various groups and in live settings. I have toured all over the country and played with very talented musicians from many different genres. At the age of 18 I began teaching drum lessons to others to share my knowledge. My students have gone on to form musical groups of their own and challenge themselves with live performances. Contact me if you are looking to learn beginner drum techniques, prepare for an audition, brush up your skills, learn your favorite songs, and play the best instrument in the world! I love working with students of all ages and experience levels and I can't wait to meet you! Let's have fun! ents of all ages and experience levels and I can't wait to meet you! Let's have fun! Drum books, sticks, practice pads, even a kit if need be! Teaching through games based around the drum set, working with beginners, helping students learn their favorite song. I enjoy teaching individuals of all ages. I am patient, understanding, and have fun starting new projects with students. I enjoy getting to know the unique goals of all my students and helping them reach their full potential. I will work in whatever way is easiest and most comfortable for my students! i play guitar mainly, but andy teaches me drums on the side. awesome dude. would recommend. Andrew didn't teach me through Reverb, but I made an account just to say how much I appreciate him. His lessons were fun, and worth every penny. I would recommend him to anyone, any age. He taught me drums for 2 years, and it was a blast. He is the most patient, down to earth and funny guy, and his teaching style was so easy to learn from. He is definitely one of a kind!!! One of the greatest drum teachers out there, I highly recommend this, to newcomers, and old timers too! Great price, offers, and the greatest teacher in Cali! Tell Andrew that you know Zenon, and he will hug you for free. Lessons are customized for the students based on their interest and experience. I will cover the basics and rudiments with new students but allow them to create and follow their own musical path using a variety of methods and musical styles. Learn to read, write, and play different styles of music with accompanying techniques and fills to add to your groove development. Whether you've just started out or you want to take that next step to becoming a better drummer, I'm here to help! With private teaching experience and a degree in Jazz Composition & Professional Music from Berklee College of Music, Granville adopts the teaching methods of the accomplished performers and educators who instructed him, such as the late Joe Morello(Dave Brubeck), Terri Lyne Carrington (Grammy Award winning artist), Dave DiCenso(Hiromi, Josh Groban) among others. Granville's curriculum centers on the building blocks; great technique to empower flexibility in his students. He uses methods perfected by Alan Dawson (The Rudimental Ritual), Gary Chaffee (Odd Time Stickings), Sanford A. Moeller (The Moeller Technique), and other great teachers while employing methods he has found successful through his years of teaching.When necessary, music theory elements are employed to teach song form, dynamics and overall musicianship. I operate in the music arena as a touring musician; a Music Director for musicals, jazz ensembles and choirs; a composer & songwriter; a band teacher at my local elementary school, a private instructor and a producer with a degree in Jazz Composition and Professional Music from Berklee College of Music. I am currently performing and writing with Divinity Roxx (Beyonce, Victor Wooten, etc. ), Elle Winston, Kate Vargas and others. Most of my writing and creating is done here in my private studio. I am proud to have produced tracks featured by the likes of Elton John on his Beats 1 Radio (Apple Music) station. That is to say, I'm really proud of the artists and having such an inspired space. ence in the coming years. I find playing music can be a great source of inspiration and release. But most importantly, everyone has a voice to be heard through music. I have taught privately since I was in high school on my own. Over the years, I have also been affiliated with some amazing entities. Additionally, my work in arts administrative (Brooklyn Academy of Music -BAM, UVA Music) translates into my ability to show you skills that will garnish success when you aren't playing music. My students can expect growth in knowledge of rhythm, understanding of music and song forms. Your timing will improve! Your feel for styles (blues, rock, jazz, hip hop, EDM, etc.) will improve! Your technique will be through the roof!! I empower my students to do whatever they can dream to do with music, whether it is for personal enrichment or personal ambition. I will demystify anything you feel is outside of your reach and grow you into the musician you want to be. My private studio is a fully equipped playground for the musically-minded with all the tools and materials you need to grow as a musician, so all you need to bring is your imagination. I look forward to the journey. Great lesson with Granville! Very insightful and patient teacher and the lesson was a great mix of technique and playing. Very much looking forward to the next lessons. Granville is extremely knowledgeable, patient, organized and invested. Recommend him to EVERYONE! I can show you how to keep a beat, I will put together a lesson plan specifically for you, and help you make steady progress toward your goal of being a drummer! r. See you next week!" Phoenix, AZ teacher: Henri B.
I Highly recommend Adam as an instructor! He Is great with my son." Phoenix, AZ teacher: J. Adam A.
is five years old and she is always excited about her lessons. She is making excellent progress and is eager to do more. She feels well-supported by Henri who encourages her to take risks with her playing while making her feel that she is doing a great job. Music lessons with this teacher are well worth the money and an excellent investment. We are lucky to have found him!" "Aaron is a good instructor and a great resource for knowledge. Learning alot." Phoenix, AZ teacher: Aaron B.
and the learning process. Look for to my next lesson." Phoenix, AZ teacher: Lou S.
s very talented, and his passion for drumming is evident in the way he teaches. Lessons are always fun. Aaron is patient and encouraging. I have a very random work schedule, and Aaron is always willing to accommodate me when scheduling a lesson." 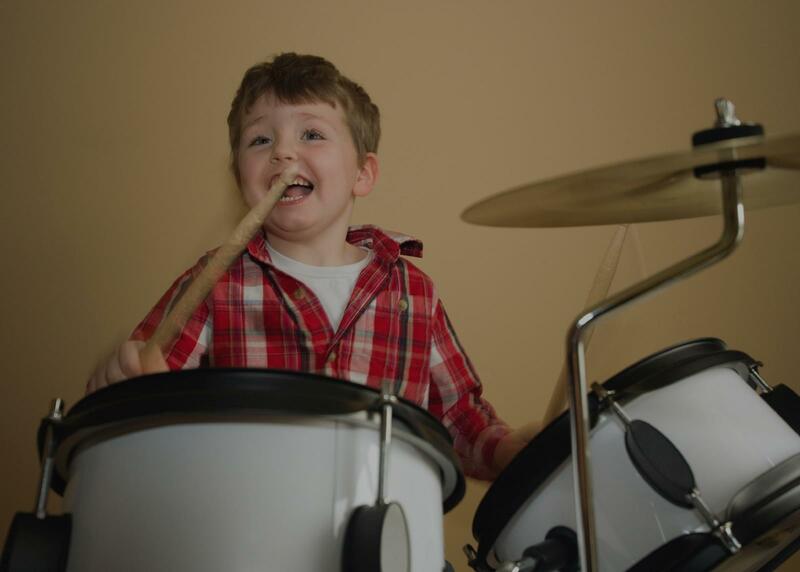 "Henri has been a fun and patient drum instructor. I highly recommend him!" Al seeks my sonâs input when selecting songs to teach him and encourages my son to apply his knowledge to learn new songs on his own. They go over what he taught himself and then he gives him new beats to incorporate to what he knows. My son truly enjoys learning from a skilled professional like Al. He is an awesome instructor!!!"